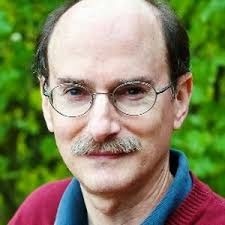 Dean Radin is, in fact, a psychology professor at Sonoma State University, but is of course best known for his “research” in the field of parapsychology, having published in excess of 200 papers in various venues of variable reputability. He is also a member of the Institute for Noetic Sciences and former president of the Parapsychological Association. His most famous book is perhaps The Conscious Universe: The Scientific Truth of Psychic Phenomena, which was awarded Amazon.com’s 1998 Bestseller Award in the genre parapsychology, and thoroughly reviewed in thirteen parts here. In the book he claims that “scientists have essentially proven that psi exists” by using “well-accepted experimental methods familiar to scientists in many disciplines.” What he doesn’t say is that the “scientific evidence” consists primarily of statistical anomalies that he – as opposed to anyone else who knows the faintest thing about statistics – interprets as proof of psi and psychokinesis – indeed, to Radin anomalies in research are psychic phenomena; if the results of an experiment aren’t likely due to chance, then they are the result of psi (an inference that has become a common enough fallacy to receive its own name, “psi assumption”; it is criticized here). A premise for Radin’s research is substance dualism, which Radin claims is well supported since it is “deeply rooted in Eastern philosophy and ancient beliefs about magic.” He does not engage with serious researchers on consciousness and the mind, since that research doesn’t fit his preconceptions. Instead he trots out the most trite denialism falsehood in existence, namely the idea that “scientific truth” proceeds through stages like this, and since his views are currently rejected by the majority of serious researchers, he must be right. The existence of psi phenomena is, according to Radin, apparently established beyond reasonable doubt (who wouldn’t be convinced by this – but not this; we don’t talk about that one). So why isn’t this fact more well known? That, Radin, asserts, is due to a conspiracy among a relatively small group of skeptics, who have “suppressed and ridiculed” the research, and because science is biased (presumably against appeals to ancient wisdom) and because scientists have “built their careers on conventional theories” (which is surprising given that nothing boosts the career of a scientist more than coming up with something new) – and that is also why Radin, as he sees things, doesn’t need to engage with them in his book or anywhere else. As mentioned his purported evidence for psi in the book, which – to repeat – amounts to little more than occult statistics (and striking anecdotes), has generally failed to convince anyone who cares seriously about backing up their claims with reason and evidence (a more comprehensive survey of psi research is here). Nor has Radin taken up Randi’s million dollar challenge, because “even a million dollar prize wouldn't cover the costs of conducting the required experiment,” which makes one wonder (if experiments that would prove psi were so expensive, what does that say about the evidence he already claims to have?). Nonetheless, Radin dreams of a future where people possess psi abilities, where we have “psychic garage-door openers” and the ability to “push atoms around” with our minds. He even suggests we employ remote viewer Joe McMoneagle to reveal future technological devices he “has sensed in his remote-viewing sessions.” He does not consider the rather obvious problems that would arise if he were right, though he probably doesn’t need to since he isn’t. In his follow-up book, Entangled Minds: Extrasensory Experiences in a Quantum Reality, he delves deeply into quantum woo, since nothing says “serious researcher” more than trying to explain the unexplainable by handwaving at quantum mechanics – and then, when it doesn’t quite serve the role (or the author doesn’t quite understand what is going on), we get the usual trite regress to Ancient Eastern Mysticism. The book is reviewed here. Radin is also associated with the Global Consciousness Project. Global Consciousness is the notion that when groups of people focus their minds on the same thing, they influence “the world at large.” He also appeared in What the Bleep Do We Know. Diagnosis: Arch-crackpot, and a brilliant example of how far motivated reasoning can carry you. His influence shouldn’t be underestimated, however. Fair enough, but your conspiracy thinking and ad hominem fallacy don't exactly constitute good advertising for the contents of your link. Hint: that someone disagrees with you doesn't mean that they "have an agenda" in any ominous sense. Skepdic and RationalWiki are generally trustworthy sources particularly because they don't have an agenda apart from a commitment to accuracy and good thinking. Or do you perhaps wish to elaborate on what kind of conspiracies or biases you have in mind? Wasn't it Sagan who said that they laughed at Galileo, but they also laughed at Bozo the Clown?